My cat hasn’t pooped in 3 days – Worry or don’t? All day long, you keep asking your friends, scouring every Internet corners and discussing with tons of pet parents like you. There is a problem walking around your head so-called “My cat hasn’t pooped in 3 days”. What is going on? How should the normal cat pooping be? Surely, litter box issues are not a strange story with most cat owners. They tell you a lot about the health condition of little friends. So, don’t ignore training cats using the litter boxes, scooping the boxes regularly and paying attention to the thing insides the boxes. In fact, the cat pooping is not the same all the time. His age changes, then the bowel movement will be different. Normally, kittens’ defecation is more frequent than the adult cat’s one. Some people have a funny talk that a kitty is a little machine of eating and pooping. But, in general, all of them go to poop at least once daily. When taking a look at the cat defecating result, you can find some signs if they are healthy. It is the deep brown color poop which is not too hard or too soft. And the poop should be with a little bit odors, not too foul. If you find out that your little cat has not pooped a few days, it may suffer from constipation sometimes. You do not need to worry too much sense here is one of the common conditions in cats in the middle ages. However, this trouble repeats many times and you start worrying about that my cat hasn’t pooped in 3 days or more, calling a vet is a need. Constipation means the cat has difficulty in defecating as normal. During this period, he gets the retention of feces. Or the feces are in the hard and dry state. Furthermore, another symptom of such scenario is the cat’s strain. Your pets may scratch the litter box. The subjective owners think that the cat is trying to cover its odor. Unluckily, the fact is that the little friend is struggling with the terrible costiveness. When constipation gets worse, blood along with mucus will occur in feces. They cause cats to whimper during pooping. Next series of awful continues with the appetite loss, vomiting as well as lethargy. Difficulty in pooping of cats does not come accidentally. There are exactly some inside and outside factors causing such condition. It is correct that there is the water absorption from feces in the cat colon. Unless cats are hydrated enough, the absorbing will keep going and lead to dry hard feces –the costive beginning. Besides dehydration, the metabolic disorder is also a factor contributing to the risk increase of costiveness. Metabolic disorders can be the low thyroid hormones concentration but such a condition is not common in cats at all. Another one is the low blood potassium or calcium. They have negative effects on the colon health and result in constipation. In daily activities, cats could get some trauma. These issues then damage the healthy ability of nerves which make control of the contraction of the bowel. Consequently, not controlling of feces production will come. However, in some cases which are more serious, it is extremely painful for cats to poop and it is time for terrible constipation. Not only three causes mentioned above can build up the hard pooping of your pets. There are many ones including litterbox avoidance, inadequate fiber in the diet, kidney problem, over-grooming, megacolon and so far. It means that just a normal habit you do for your pets can cause big problem to their health. Despite being a common health problem in cats, the costiveness results in terrible things for your little friends unless there is an action in time. Let’s see what you should do. As mentioned above, the normal frequency of cat pooping is once or twice per day. However, for constipated cats, this one changes to every three or four days. Such discomfort in the digestive system for days drives them to dehydrate. It is the reason why you cannot forget to get them enough water. 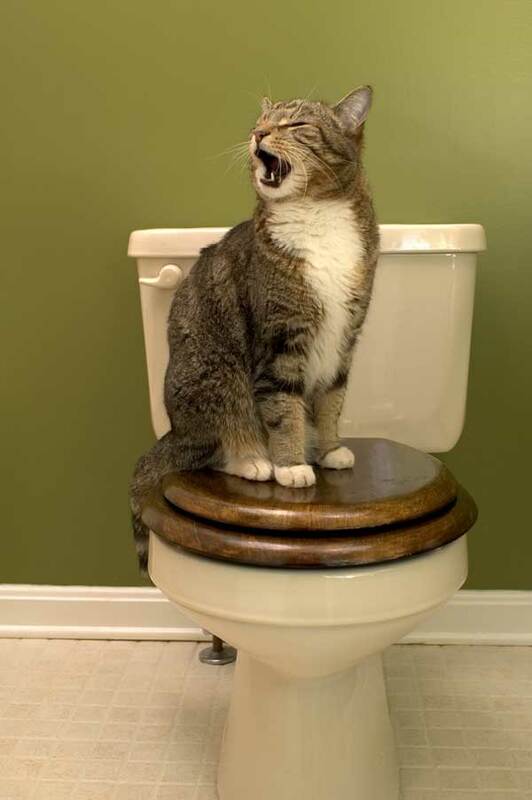 During constipation, wet food can support the bowels much better than the dry food can. Some of you might not know what it is. The wet food is the one provides the cat with more fiber. The higher fiber intake your pet gets, the quicker his discomfort is out. Some teaspoon of canned pumpkin into the cat meal is also an ideal plan to stop the costiveness getting worse. Changing the diet to get rid of the constipation is a must. However, this adjustment should be taken step by step and slowly to avoid some unexpected gastrointestinal troubles. And in some cases, those troubles are much worse than your current anxiety that my cat hasn’t pooped in 3 days. After days, in case that all methods you have applied not very effective, it is time to go to see the vet. He will have aggressive remedies to replace gentle approaches. One type of sugary syrup so-called Lactulose can be in use. The liquid helps to stain water for feces to pass easily. Another medicine which is suitable for cat constipation is the Colace. On the other hand, in the condition of stubborn costiveness, the vet will use the Cisapride. Undoubtedly, you do not want to present the story that “my cat hasn’t pooped in 3 days“ many other times. Hence, after resolving the first episode of the cat costiveness, you had better searching for ways to preventing the second episode coming. Even from the easiest daily routine, you can keep your little pet safe from bad constipation. Always allow access to clean, fresh water. Diets for cats must be appropriate, not too little and also not too much. According to experienced pet parents, dry food which many people let their cat eat will limit the amount of fiber intake. Additionally, it is necessary to pick a great litter box and train the cat to poop into the box. All things here are not hard, just take time and then you are a nice pet owner in the world. Find more useful cat stuff at our Cat - Lovers Store!